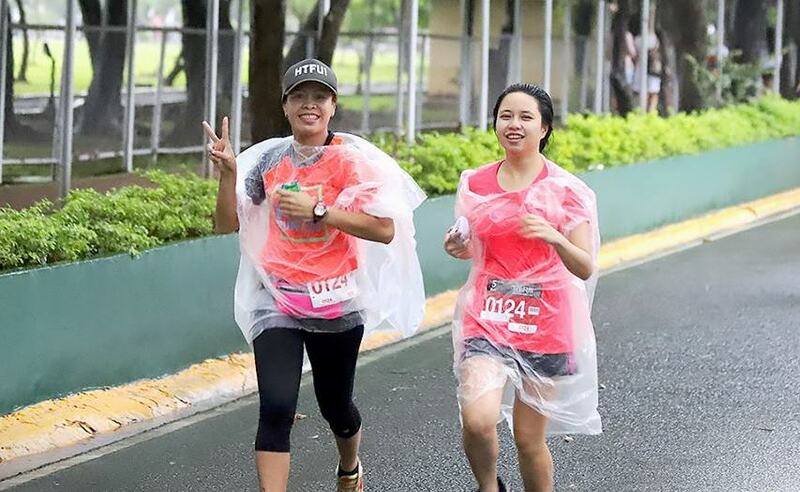 The 11th Fit & Fun Wellness Buddy Run kicked off at the parade grounds of Camp Aguinaldo in Quezon City, and it was the sixth time I've joined with my running buddy. However, heavy rain greeted us and I honestly thought of not joining but still, I am so happy I did it! I have to admit that I initially, selflessly, and wholeheartedly joined this race for the nth time because I wanted to get back into running. 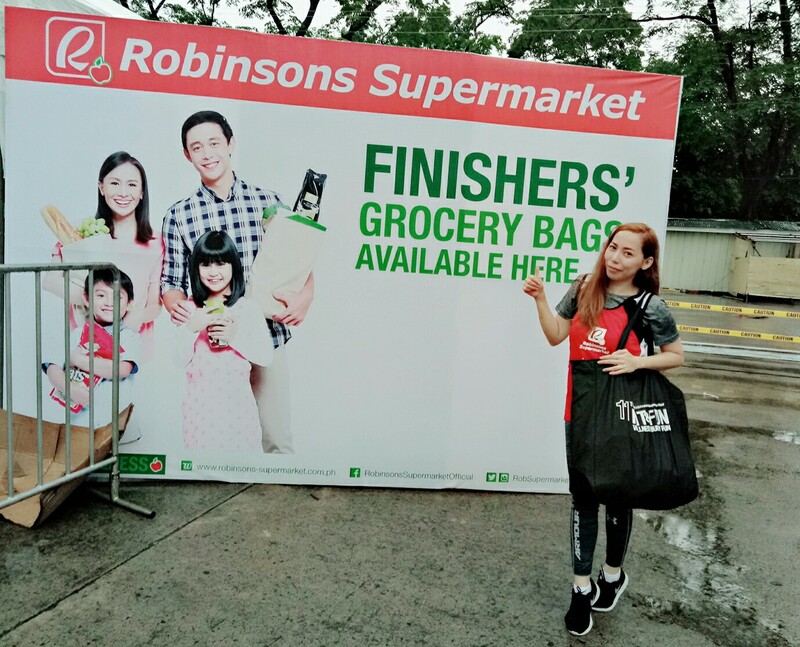 Also, I love Robinsons Supermarket's Fit & Fun Wellness Buddy Run and will continue to be a part of this race for as long as I can! 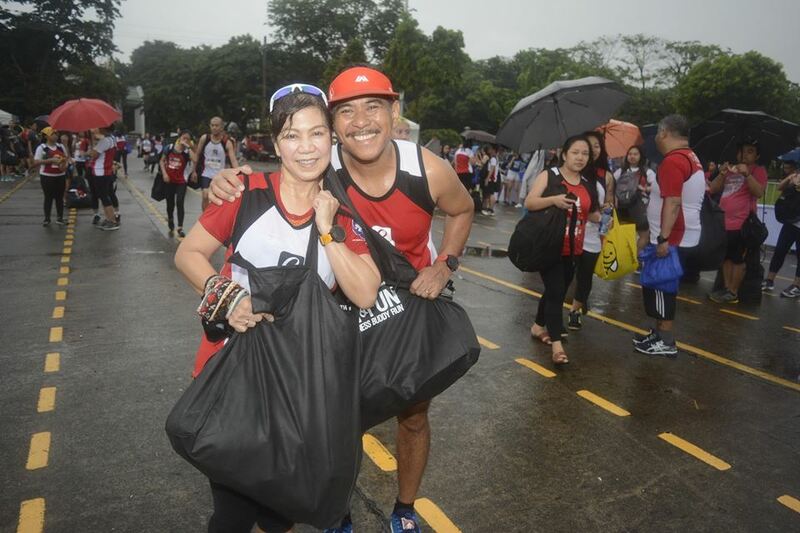 No rain can dampen the crowd’s spirit as top and well-loved coaches Jim and Toni Saret of the Fit Filipino Movement entertained participants with their usual charm and fun exercises. 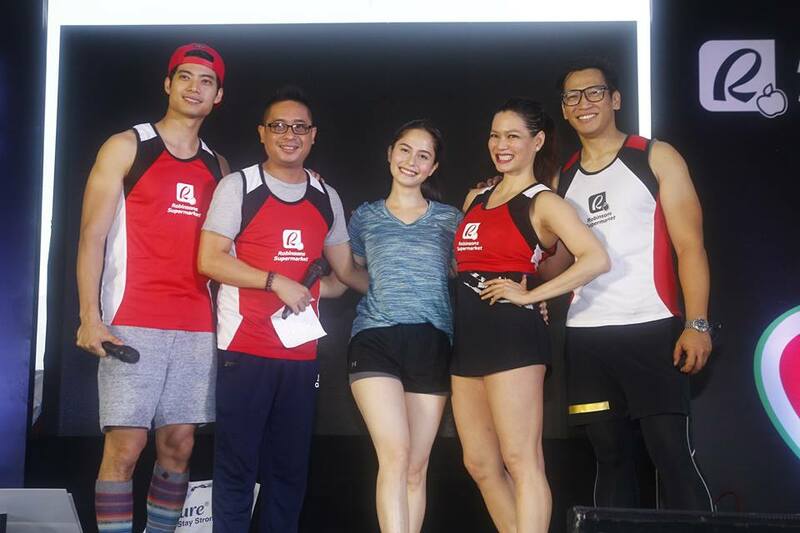 Special celebrity guests from Jessy Mendiola, Drew Arellano, Mickael Daez and the Philippine Volcanoes shared their wellness tips. 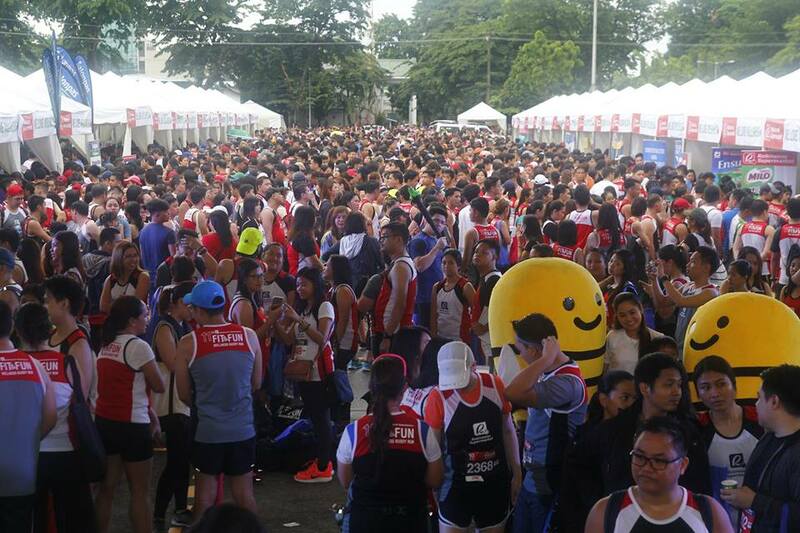 What I really love about this race is that you'll see people running in pairs—parents and kids, siblings, lolos and their apos, loved ones, officemates, best friends, even neighbors—competing in the 5K and 10K races. Best part? The big grocery lootbag at the end of the finish line. Yay! The rain may have cancelled the official race because they had to disable the timing chip mechanism. 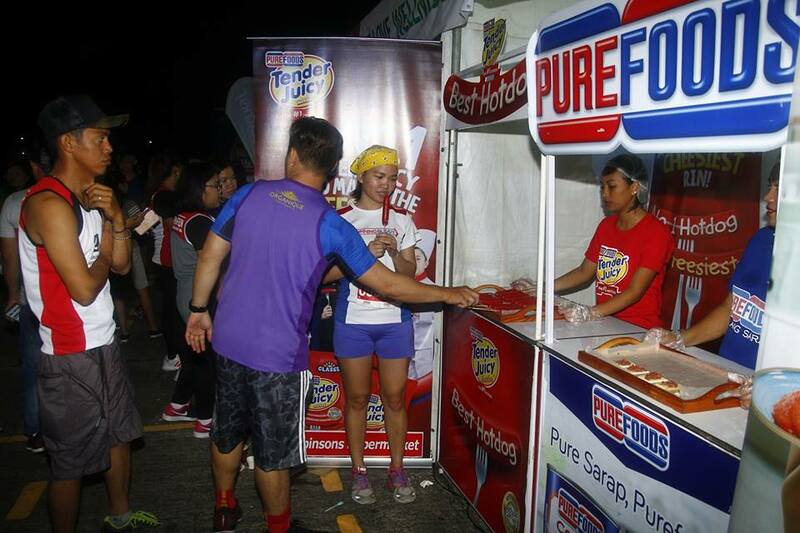 BUT there was no shortage of fun and good vibes amongst participants as they also enjoyed exciting activity booths and lots of freebies from the different sponsors.